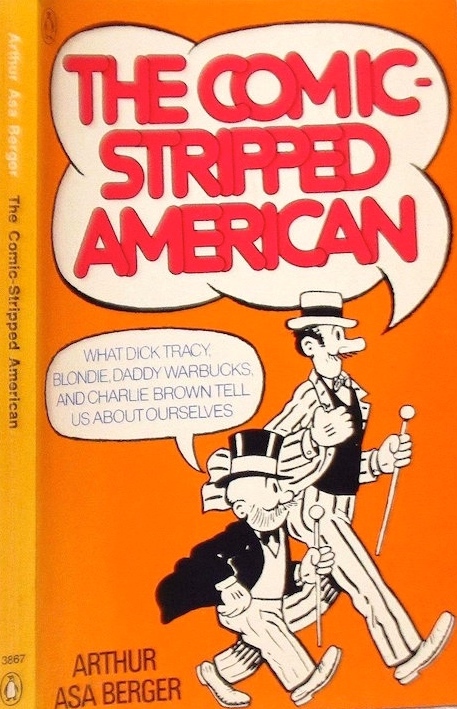 this is the first book I know of which deals with the way comics reflect our [American] culture. If not actually the first, certainly a pioneering book. Southwest literary humor and Yiddish humor collided in the ever-popular comic strip “Lil Abner”. From 1936 to 1977 (when it ceased publication) this comic strip entertained, annoyed, riled, and amused legions of readers. Li’l Abner, Daisy Mae, Mammy and Pappy Yokum, Moonbeam McSwine, Marryin’ Sam, and Sadie Hawkins became pillars in American popular culture, and Dogpatch became a symbol, an emblem and a community in mainstream U. S. A. Li’l Abner: A Study in American Satire, originally published in 1969, is made available again with a new afterword by the author. It is a model of how the comics (sometimes snubbed as “culture for the common man”) can be given earnest and well deserved analytical attention. 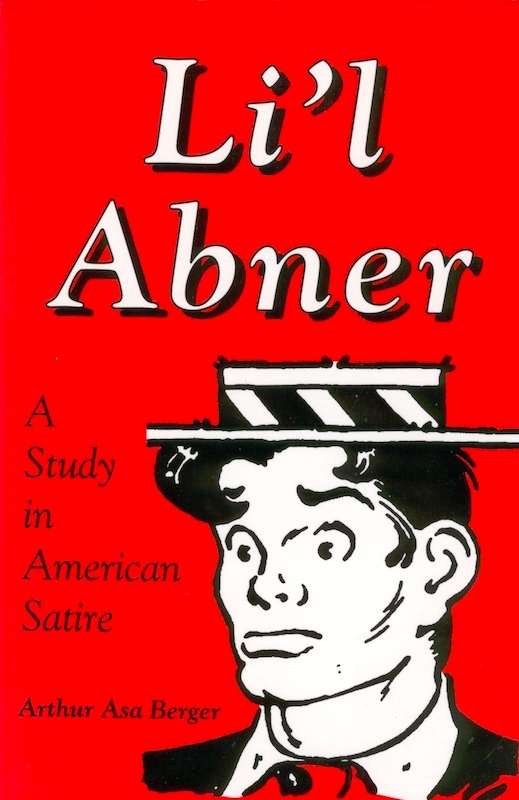 Here in great detail are discussions of the place of “Lil Abner” in American satire, of Al Capp’s narrative technique, his use of dialogue and grotesquery, his use of self-caricature, and of the significance of social criticism and the pictorial image. As a mirror of national values and conflicts, “Lil Abner” had a special place not only in the funny papers but also in the consciousness of America. Berger is most focused on the second generation (and seems actively unsympathetic to the third generation). p. 137: To be sure, the strip relied on clichés, as most comic strips do. The language is purple and overly dramatic, the figures tend to be uni-dimensional, and [artist Alex] Raymond’s use of science might be rather simple-minded. But the notion that the individual makes a difference, despite everything, as well as Flash Gordon’s mission – spreading democracy – are parts of the American ethos, and the strip is, in this sense, a truly American document. The notion of the omni-competent individual and the sense of mission are fundaental in the American mind, according to [scholar of American democracy] R.H. Gabriel, and the leap into outer space may have been necessitated by a belief that this was a new frontier for us. We had already fought, and won, a war which was to make the world safe for democracy. The frontier, so to speak, was settled; we needed new vistas, and outer space provided them [hence, Buck Rogers and Flash Gordon]. p. 141: Flash Gordon is actually a study in the triumph of the democratic will. (and a ripping yarn too). This entry was posted on May 20, 2016 at 2:43 am and is filed under Books, Language and culture, Linguistics in the comics. You can follow any responses to this entry through the RSS 2.0 feed. You can leave a response, or trackback from your own site.